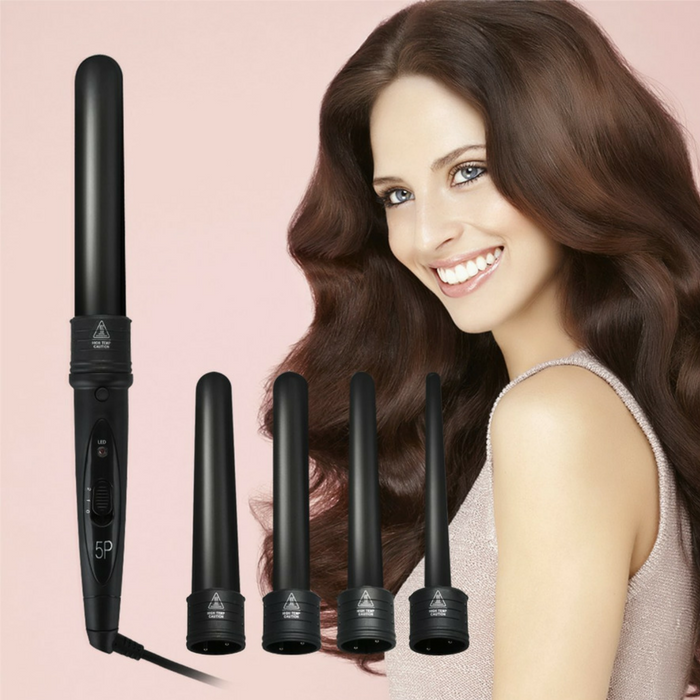 5-In-1 Curling Iron Just $33.99! Down From $121! PLUS FREE Shipping! You are here: Home / Great Deals / Amazon Deals / 5-In-1 Curling Iron Just $33.99! Down From $121! PLUS FREE Shipping! Head over to Amazon to score this 5-In-1 Curling Iron for just $33.99 down from $120.99 PLUS FREE shipping! Homitt 5 in 1 curling wand set has 5pcs different sizes barrels that can fits many hair style, no matter for long hair or short hair. Different size can make different hair style, like corkscrew curls, waves, big curls for body and bounce and ringlets. Nice! INTERCHANGEABLE: The wand curling iron set has five different interchangeable curling iron barrels that click into the handle. The handle has a lock feature so don’t have to worry about the barrel coming out while using it. STRONGEST AND DRUABLE: The curling wand set is made of high quality PTC+ pottery coating for barrel, PET material for handle, and the cord has UL certified.